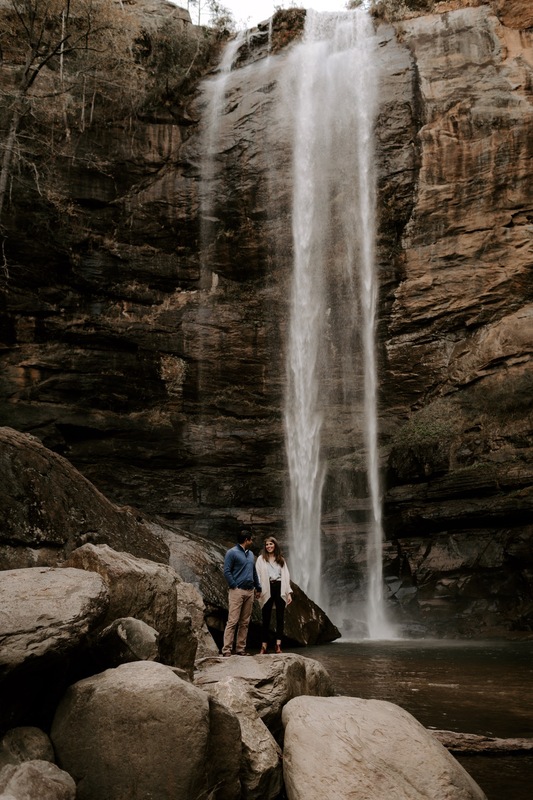 I’ve always wanted to shoot at Toccoa Falls, so I was so excited when Madelyn + Tyler said they were up to the adventure! Toccoa Falls is a sweet spot that requires no hiking at all. Which just seems too easy when you see how quick it is to get to this beautiful waterfall. We had a lot of fun + explored the surrounding area for some beautiful shots. This spot is definitely a must see if you haven’t been! I know we’re going to have a lot of fun together for their spring wedding this March in Atlanta!